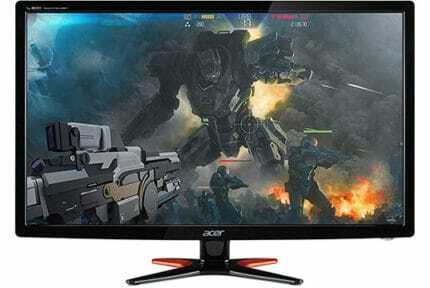 The Acer XG270HU is one of the cheapest 27″ 1440p 144Hz 1ms gaming monitors which by itself is already an alluring deal. 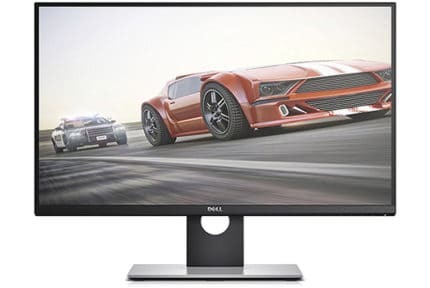 What makes this monitor particularly compelling is the fact that it provides a variable refresh rate (VRR) for both AMD and NVIDIA compatible graphics cards. 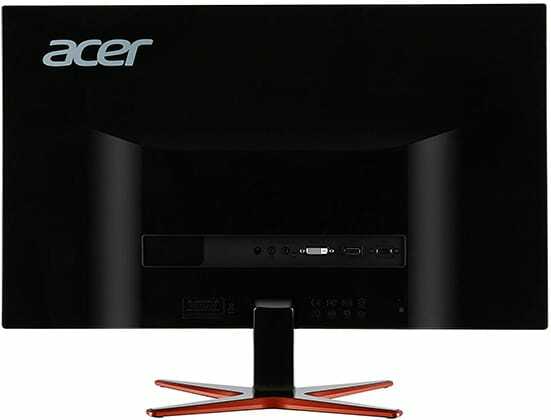 Right off the bat, the Acer XG270HU 27″ monitor delivers impressive specifications considering its price. First of all, 1440p (2560×1440 WQHD) resolution ensures sharp and crisp details with a lot of screen space available. This also means that reaching higher frames will be more taxing on your CPU and GPU as opposed to the standard 1080p resolution; so, keep that mind. The monitor is based on the TN (Twisted Nematic) panel technology which is known for narrow viewing angles (160° vertically and 170° horizontally) and inferior color quality in comparison to other panels (IPS and VA). However, TN panels also offer the quickest response time speed which is what competitive gamers care more about anyway. You get a significantly better pixel transition time that that of VA and IPS panels and for minimal ghosting and motion blur in fast-paced video games. That’s why almost all professional and serious FPS gamers use TN panels. Other panel-related specs include a 350-nit peak brightness, a 1,000:1 contrast ratio, and the standard sRGB color gamut with 8-bit depth support which overall makes for a decent picture quality. The Acer XG270HU input lag performance is top-notch with only ~5ms of imperceptible delay at 144Hz. As previously mentioned, there’s no noticeable ghosting of fast-moving objects in video games. There are also three overdrive options (Off, Normal, and Extreme) available, though we found that leaving it at ‘Normal’ works the best as ‘Extreme’ introduces some pixel overshoot (inverse ghosting). The backlight of the monitor is flicker-free and there’s a built-in low-blue light filter meaning that you can game for hours without eye fatigue, strain, or headaches. Moving on, if you have a compatible graphics card, you can make the Acer XG270HU 144Hz monitor change its refresh rate dynamically and according to the frame rates generated by your GPU. In turn, you get a variable refresh rate which eliminates all screen tearing and stuttering with virtually no input lag penalty. For NVIDIA cards, you will need at least the 417.71 WHQL drivers and a GTX 10-series or RTX 20-series graphics card while almost all AMD cards support this technology. Note that NVIDIA cards provide a VRR over DisplayPort 1.2a only, with a 40-144Hz dynamic range. With AMD graphics cards, you can get a VRR over both HDMI and DisplayPort (with the same 40-144Hz dynamic range). The Acer XG270HU monitor is a bit older model, so you won’t find any fancy features such as pre-calibrated gaming presets, custom crosshairs, Black Stabilizer/Equalizer (gamma curvature presets), on-screen timers, etc. The design is definitely the monitor’s weakest point as you will most likely be put off by its orange/bronze design; what’s more, the stand is not VESA mount compatible and it’s tilt-only by -5°/15°. 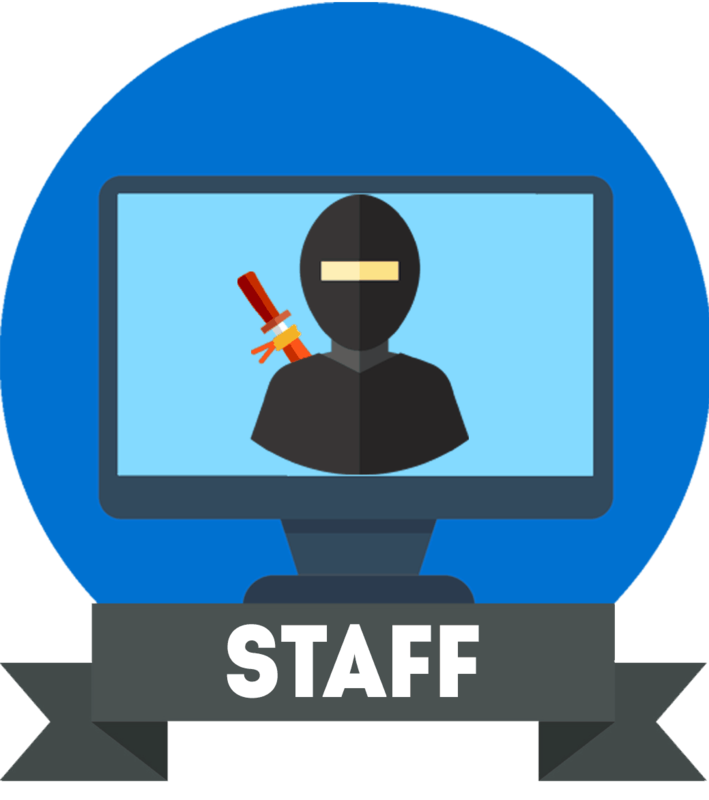 At the back of the monitor, you will find DVI (max 75Hz on this monitor), HDMI 2.0, DisplayPort 1.2a, a headphones jack, and an audio line-in for the two 2W integrated speakers. 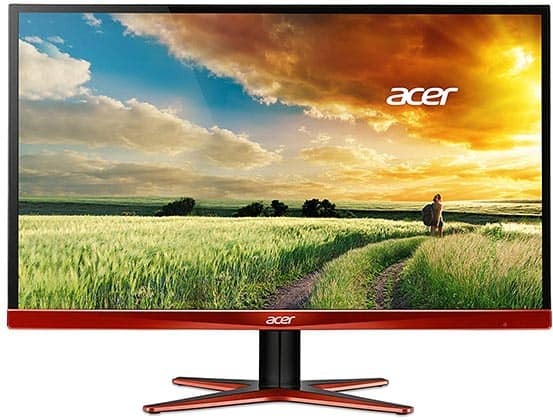 The Acer XG270HU price is usually around $370 which is standard for a 1440p 144Hz 1ms gaming monitor. 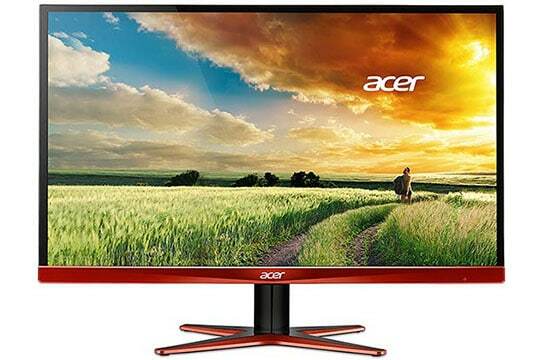 However, since this Acer 1440p 144Hz monitor is G-SYNC compatible, we find it a lot more valuable than the equally priced alternatives. However, the newer Dell S2719DGF offers better value for the money. It’s roughly equally priced yet offers a fully ergonomic design, better connectivity options, a 155Hz overclockable refresh rate, and more gaming features. Although it’s not officially G-SYNC compatible as the XG270HU, FreeSync works without issues with compatible NVIDIA cards on the S2719DGF as well. For the same price, you could also get the Nixeus EDG27S v2 which is a 27″ 1440p 144Hz gaming monitor with an IPS panel and (unofficial) G-SYNC compatibility. The Acer XG270HU monitor may lack certain game-enhancing features and design versatility (and style), but it makes up for all of it with its flawless performance. However, Dell’s above-mentioned model offers better value for the price thanks to its plethora of exclusive features. 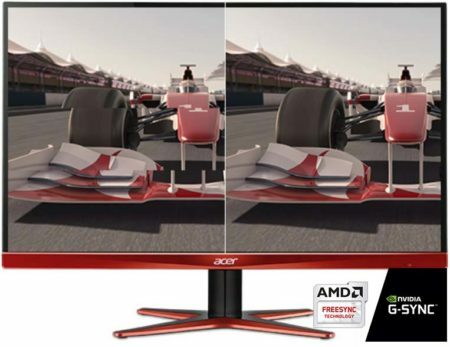 The Acer XG270HU offers a smooth performance and official G-SYNC compatibility. However, if you can, get the Dell S2719DGF instead as it offers better value for the money.